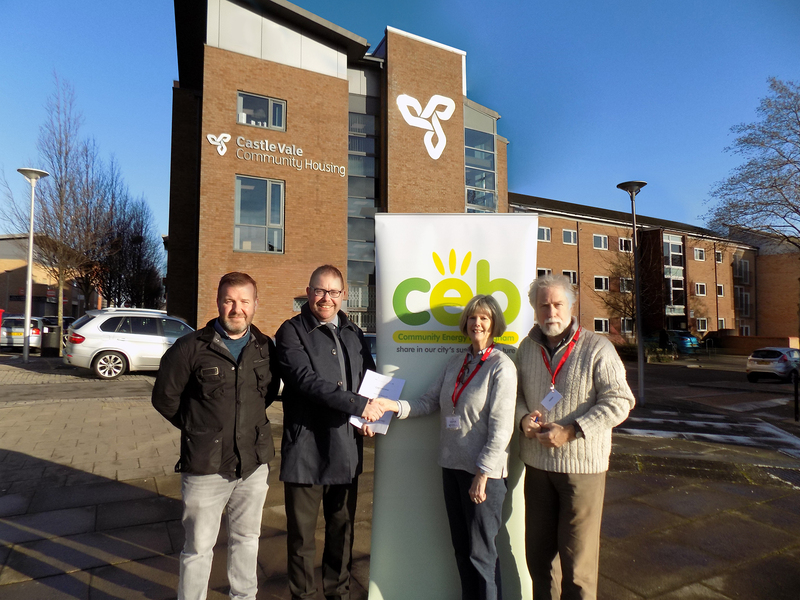 The Pioneer Group has recently signed an agreement with Community Energy Birmingham (CEB) to install solar PV panels to the roof of their head office in Castle Vale. This initiative will result in the company benefitting from significantly lower electricity tariffs, generating savings of up to £43,000 over the life of the project, and reducing the building’s carbon footprint by 22 tonnes per annum. We’re excited to be working with Community Energy Birmingham for this project as the venture falls in line with our environmental values. By reducing our carbon emissions we are shaping our services to be more financially and environmentally sustainable. CEB is a ‘society for the benefit of the community’ and is registered with the Financial Conduct Authority. Their mission is to help community organisations through the provision of renewable energy and other energy efficiency improvements. CEB currently has six such projects up and running and foresees further opportunities across Birmingham in the future. Community Energy Birmingham is delighted to be working with The Pioneer Group in order to provide them with clean, cheap electricity for the next twenty years. The Pioneer Group is exactly the kind of community organisation we like to partner with because of the many benefits we know they are bringing to the whole Castle Vale community. The savings they will be making will allow them and Castle Vale, to be more resilient in the future.